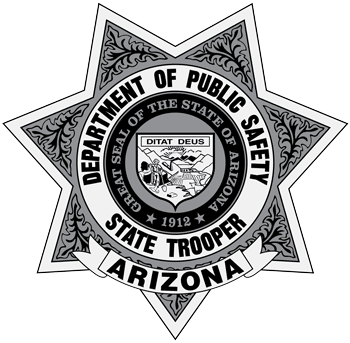 Thank you to everyone who provided tips and information concerning the death of the 18-year-old pedestrian last weekend on State Route 95 at Camp Mohave Road. We have witness statements from the drivers of the two vehicles we were trying to locate in connection with this incident. We do not consider them suspects. The investigation continues. Released on Wednesday, March 20, 2019, at 11:01 a.m.
Investigators still need the public’s help in finding the drivers of two other vehicles that struck a young woman. The vehicles are described as a red colored passenger car and a white or light-colored pickup truck. The drivers did not stop at the scene. The vehicles are depicted in the photos below. If you recognize these vehicles or know anything about the drivers, please contact AZDPS at 602-223-2212. Thanks to tips from the public, AZDPS investigators arrested 79-year-old David Victor Evans of Bullhead City, on Monday, March 18. Evans was arrested in connection with a hit-and-run crash in Fort Mohave, Arizona which took the life of 18-year-old Taylor Ann Young. Evans struck the young woman as she was crossing State Route 95 at Camp Mohave Road on Friday, March 15, 2019, at 8:54 p.m. Evans failed to remain on-scene or report the crash. He was booked into the Mohave County Sheriff’s Office Jail for failure to stop for an accident involving injury or death. Released on Saturday, March 16, 2019, at 9:49 p.m.
On Friday, March 15, 2019, at 8:54 p.m., an 18-year-old woman was walking west to east in the traffic lanes of State Route 95 at Camp Mohave Road when she was struck by a dark blue Chrysler 300. The vehicle left the scene. The female victim succumbed to her injuries and was pronounced deceased at Sunrise Medical Center in Las Vegas, Nevada on Saturday, March 16, at 6:50 p.m.
AZDPS investigators need the public’s help in locating the run vehicle which is described as a dark blue Chrysler 300 with damage to the driver’s side windshield and the driver’s side headlight. Witnesses were able get a partial license plate description. It is a handicapped plate, unknown state with the letters G..W.. The public can contact the AZDPS Duty Office at 602-223-2212 with any information.